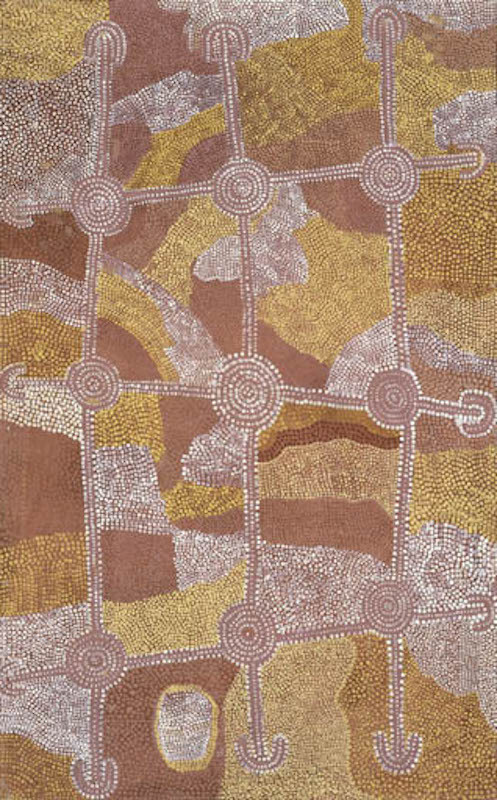 Old Mick Walandari Tjakamarra was one of the senior founding members of the Western desert Aboriginal art movement. He was active at the start of the Western Desert art movement but had a short career. He on Composition board the stories of his country in a rough but spiritually accurate manner. 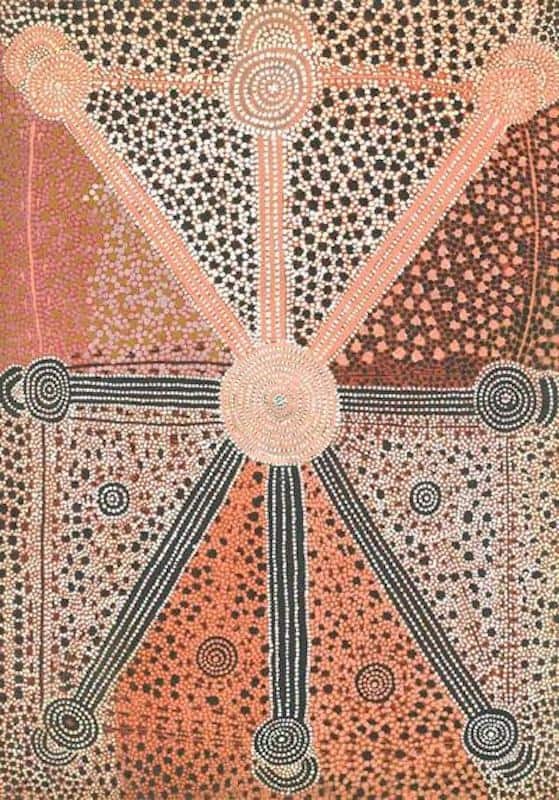 The aim of this article is to assist readers in identifying if their Aboriginal painting is by Old Mick Walandari Tjakamarra. It compares examples of his work. It also gives some background to the life of this fascinating artist. 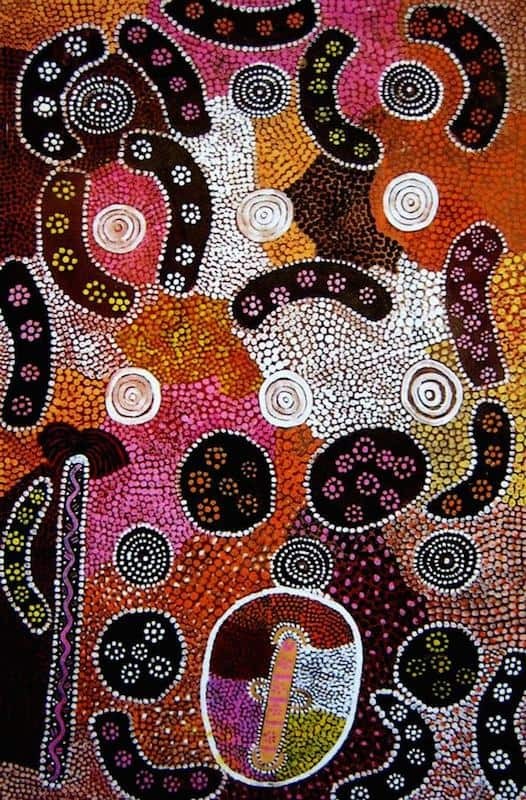 If you have an Old Mick Walandari Tjakamarra Aboriginal painting to sell please contact me. 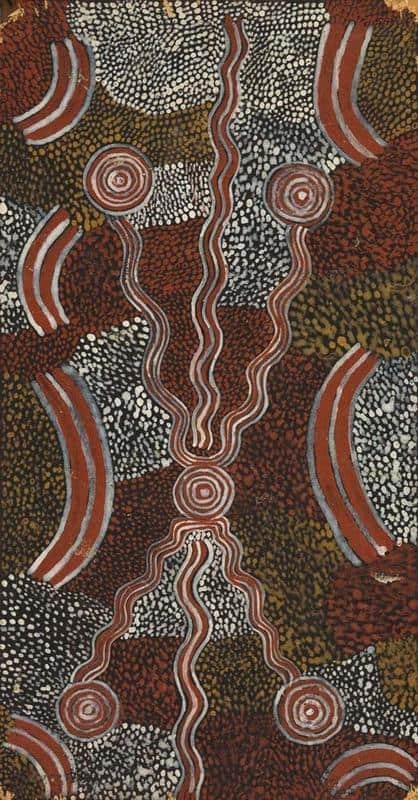 If you want to know what your Old Mick Walandari Tjakamarra painting is worth please feel free to send me a Jpeg. I would love to see it. Old Mick Walandari Tjakamarra was born around 1910 at Watikipinrri, west of central Mount Wedge Mick had a mixed tribal background and is thought to have been one of the last surviving Kukatja of the Central Desert region. After the success of the Mural, Bardon decided to start a men’s painting group. Walandari was one of the seniors of the group. He had great knowledge of traditional designs and stories. Old Mick was an acknowledged ceremonial leader and always maintaining a strong tribal interest. He provided a wealth of knowledge to his younger protégés in the painting group. 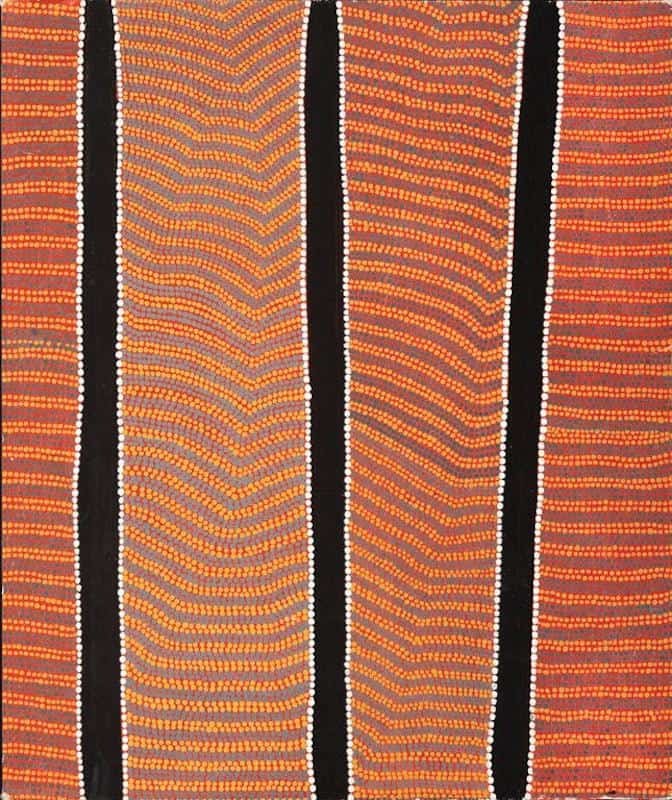 By the early 1980’s due to failing eyesight and bad health, Old Mick Walandari Tjakamarra could no longer paint. 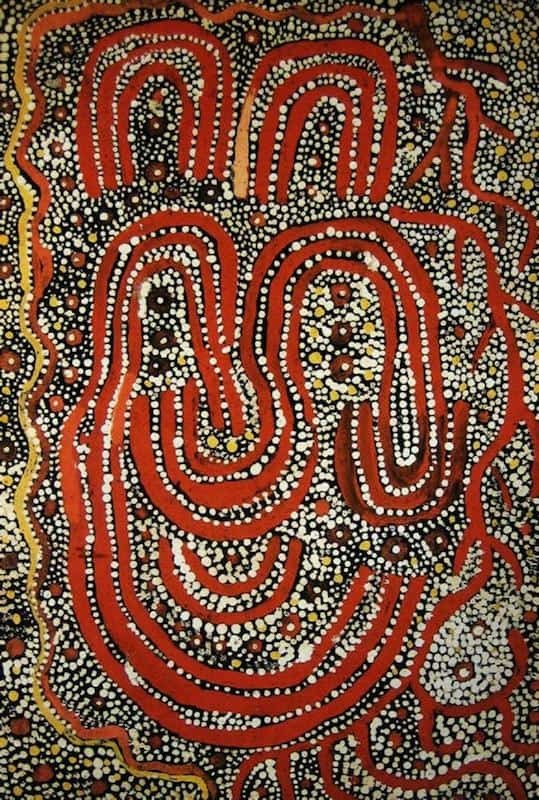 He continued to guide and help a number of ‘second wave’ artists, most importantly Maxie Tjampitjinpa and Don Tjungurrayai. Old Mick Walandari Tjakamarra is sometimes referred to as Squeaky Mick Walangkari Tjakamarra or Shakey Mick Walangkari Tjakamarra. His Skin name also has several spellings so he sometimes referred to as Walangkari Jakamarra, Walangkari Jagamara, or Walangkari Djakamara. His tribal name was Wallankarri, or Walangkari .